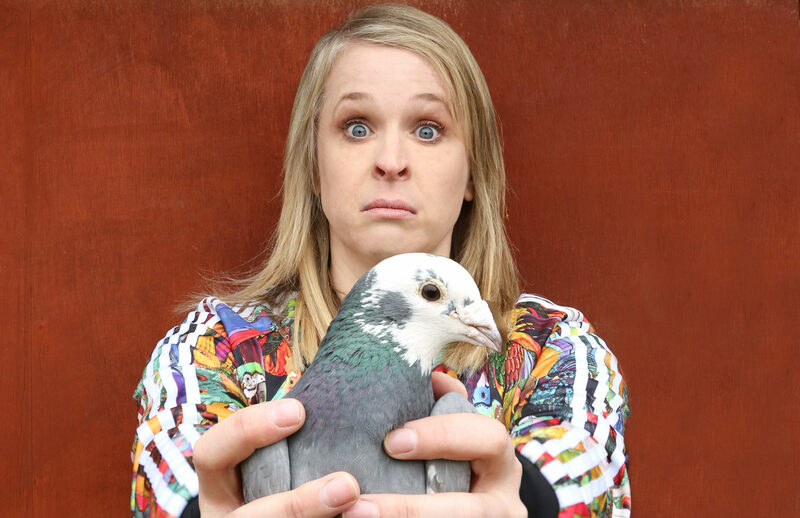 And from start to finish, Once, Twice, Three Times a Hayley (not a Lionel Richie tribute but actually a show about pigeons) is funny, quickfire and a little bit emotional. Based around her grandad and his homing pigeons, the Manchester comic’s routine encompasses stories about family, mental health and having fun with home CCTV systems. Hayley also attempts the unenviable task of changing perceptions of pigeons – after all they’re war heroes, not rats with wings. With interactive elements and even a quick gameshow (the hilariously competitive Confused Man or Pigeon Fancier), there’s plenty to love about this show. Sharp, clever, and very funny, this show has plenty to coo about. And you get to keep the kazoo!